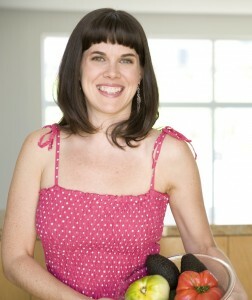 Meet Christy Morgan, The Blissful Chef and author of Blissful Bites, a cookbook for novice, experimental, and skilled vegans. Christy’s mission is to help people find their own sense of connectedness and bliss through food. We love it! Blissful Bites recipes are organized by season and coded with icons listing raw, gluten-free and soy-free, low oil, and take less than 45 minutes to prepare. Christy offers us super yummy recipes like kale salad with curry- coconut sauce, soba noodle sushi with apricot-ginger dipping sauce, and heavenly raw chocolate mousse. 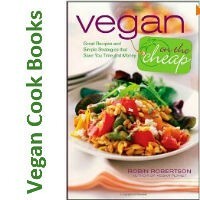 Her book offers tips to create an ideal kitchen pantry by explaining basic staples for baking and cooking – spices, oils, vinegars, condiments, and seasonings – and the tools we’ll need to create healthy plant-based dishes. She has useful photos explaining different knife techniques. Published by BenBella books, Blissful Bites has over 175 recipes. Most of the recipes have color photos to give you a preview of the blissful bites you’re about to make. Christy shared one of her recipes from Blissful Bites: Citrus Coconut-Kabocha Bisque. Christy also runs a vegan lifestyle blog. Visit The Blissful Chef for recipes and tips. Check the site to see if the Blissful Bites book tour is coming to your city!